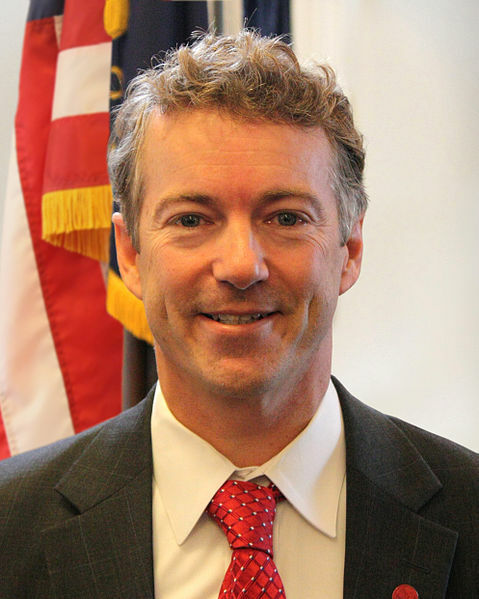 Republican Tea Party candidate Rand Paul has cancelled a scheduled interview on this Sunday's "Meet the Press" making him only the third person in over 60 years to cancel the NBC news program. He’s not in good company canceling: Paul is only the third to cancel the venerable television news program in its 60-plus-year history (Louis Farrakhan and Prince Bandar bin Khaled al-Faisal of Saudi Arabia are the other two). Paul has flip-flopped back and forth about his views regarding the 1964 Civil Rights Acts which he said earlier that he would not vote in favor of if he had been in Congress at that time. Today, he told ABC that President Obama was “un-American” in his criticism of BP. Since oil is now hitting the coastline of Louisiana and is killing marshlands, while the mile-deep gusher continues unabated to spew thousands of barrels a day into the Gulf region, Paul’s support of BP that “accidents happen” are angering other Tea Partiers as well as the rest of us. I wonder if the decision to back away from the media, and cancel MTP this Sunday, was entirely his decision. Or, could it be pressure from others in the GOP?